I read this article and found it very interesting, thought it might be something for you. 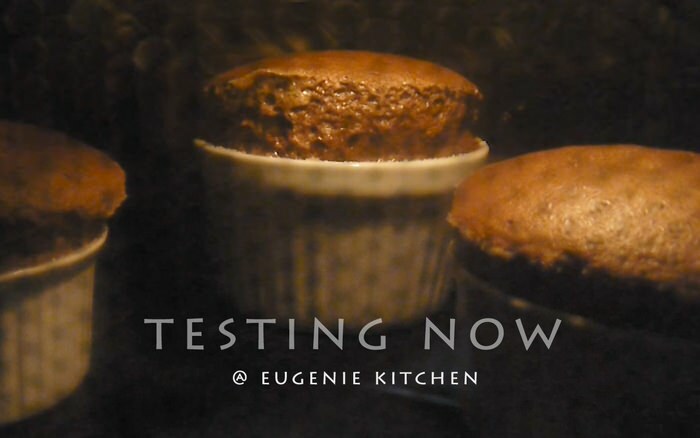 The article is called Easy Chocolate Soufflé Recipe and is located at http://eugeniekitchen.com/chocolate-souffle/. 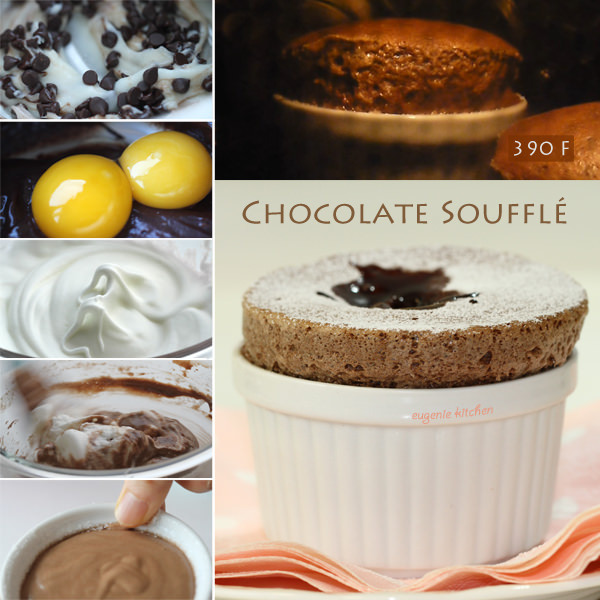 Oh, I love souffle. 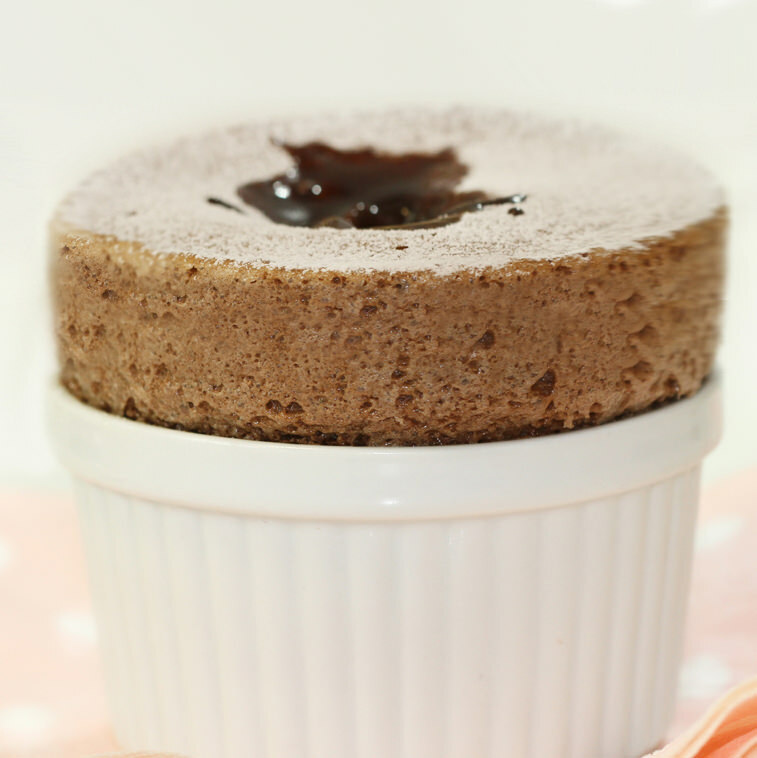 This is moist, rich, very delicious chocolate soufflé. As for souffle, I recommend to use bigger ramekins or baking dishes because souffle is mousse-like. So if the dishes are small, there are not really enough to eat. 1. First, brush vegetable oil inside of ramekins. I am using spray oil but you can also use melted butter. And dust with sugar falling the sugar into another ramekin. Make sure ramekins are generously coated with sugar. Set aside. 2. Add butter into a sauce pan and melt butter and add flour and cook for 1 min on low heat. Add in hot milk and over medium heat, bring it to a boil. Now I’m making béchamel sauce. And cook until thick stirring constantly. 3. Then out of heat, add chocolate and stir until melted. 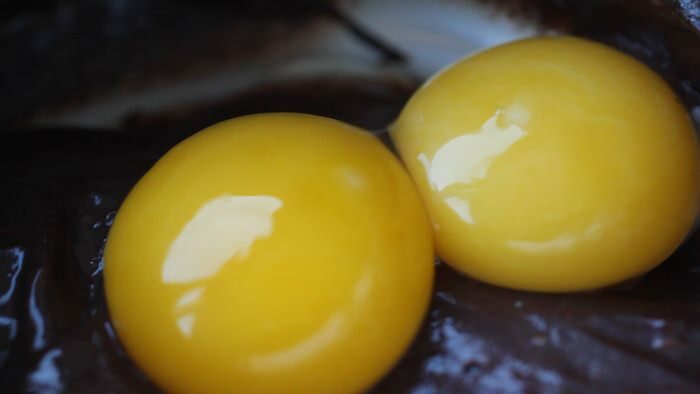 Then separate the eggs and add in egg yolks all at once and vanilla extract and stir until combined. 4. Whisk egg whites until peaks. And gradually add in sugar while whisking. Whip until soft peaks. 5. 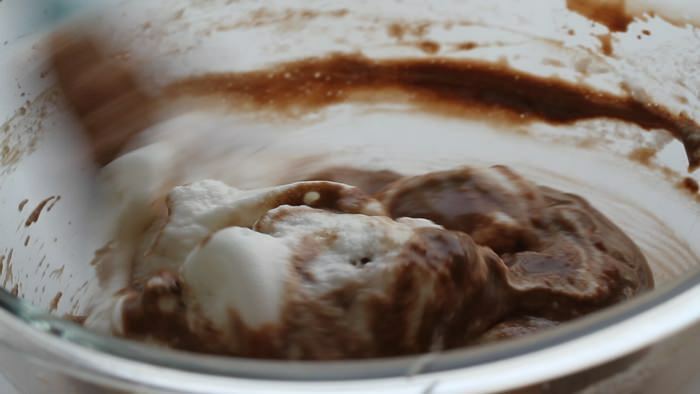 Add about ¼ of meringue to chocolate mixture and whisk until combined. Then pour the chocolate mixture into meringue and delicately fold until combined, turning the bowl. 6. Spoon the batter into the ramekins. The texture depends on how much you fold the batter. It’s okay if your batter is a little more liquidy than this. Then clean the rim with your thumb. 7. Bake at 390 degrees F. (200 C.) for about 15 to 18 min, or until puffed and crusted on top. Dust with confectioner’s sugar. And make a hole on top and add in 2 tablespoons of warm chocolate sauce. I have a chocolate sauce recipe in a separate video. HI, I tried this at home, my souffle did rise, but also it spilled out of the remekin. whre did i go wrong..